The NEW 2019 Summer Woody Kokomo is the latest edition to our Classic Timber range of boards. 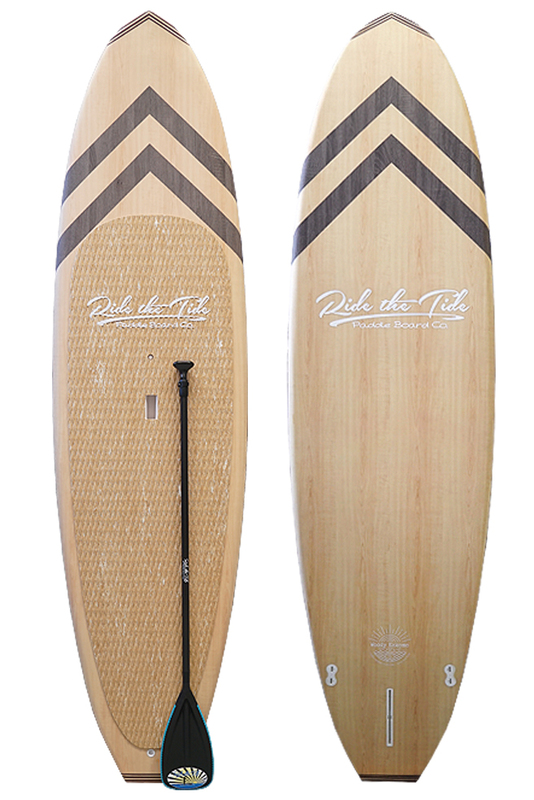 Featuring a timeless light beach timber with contrasting dark grey driftwood timber chevron shapes, the Woody Kokomo is a simple and beautifully designed paddle board. Our fresh new twist to our Classic Timber range is the subtle yet stunning Matt finish to the board creating a total new look to our boards. Loving your sport equipment makes progression in a sport much, much easier! That’s why I bought my board from Ride the Tide (Kokomo). The board is beautiful (I love it) and it’s so light and easy to handle. It’s definitely my new thing! I even get a kick out of loading it on my roof racks! Thanks, Dean.